America is fighting for its life in the first war of the 21st century. The battle is for the soul of America, and ground zero is Iraq. While the United States debates, the terrorists are claiming victory and planning to take their show to American soil once again. 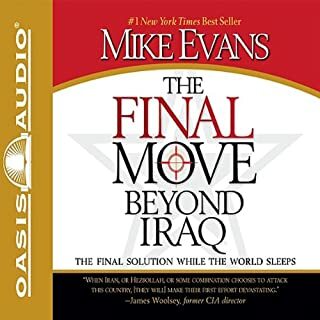 In The Final Move Beyond Iraq, best-selling author Mike Evans gives us a wake up call, demonstrating conclusively that: An Islamic revolution is spreading and is on the brink of becoming America's greatest threat since the Civil War. Finally, someone who writes the truth about what is going on and not just opinion. Few moments in history are as stirring as the Allied liberation of Paris. Yet few people are aware of how narrowly, and how miraculously, the city escaped Hitler's secret plan to reduce it to ashes. 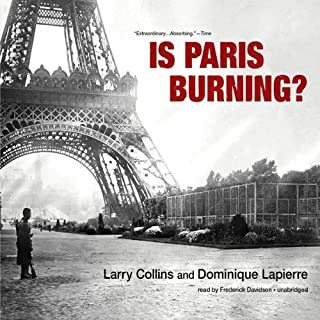 Is Paris Burning? reconstructs, in meticulous and riveting detail, the network of fateful events, day by day, moment by moment, that saved the City of Light. I first read this book when it was published, and have since gone on to read other books from this author. For me it was a thrilling day by day account of the last days of German Occupation of Paris. It is a real "page turner" and I didn't want to miss a word. Books I enjoy this much I read over and sometimes over again. To find this on audible was a special treat. I highly recommend it to all. 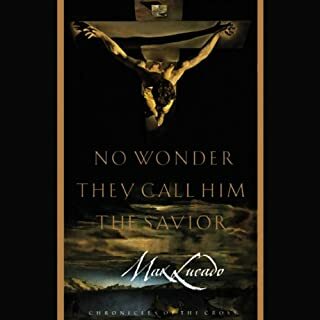 In this audio program, Max Lucado challenges the listener to take a good look at the cross. Examine this hour in history. Look at the witnesses. Listen to the voices. Watch the faces. Most of all, observe the one they call the Savior. Because what he did is the one thing that matters most of all. This book saved my life. Having been raised in a religious household I was not without a spiritual background. I never knew that there was a God so loving, so compasionate, so merciful until I read this book (and every book since by this author). If this book does not make you feel God's love from the top of your head to the bottom of your feet, my friend you are truly lost. 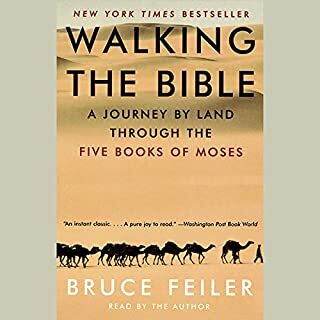 One part adventure story, one part archaeological detective work, one part spiritual exploration, Walking the Bible vividly recounts an inspiring personal odyssey (by foot, jeep, rowboat, and camel) through the greatest stories ever told. The book is an exceptional venture. Seldom is such a vivid picture of the Biblical setting portrayed in the written word.